As the days get longer and temperatures begin to heat up, so do the grills! The American grilling tradition is often the center of summer entertaining, but this fun cooking technique also brings the risk of open fire. 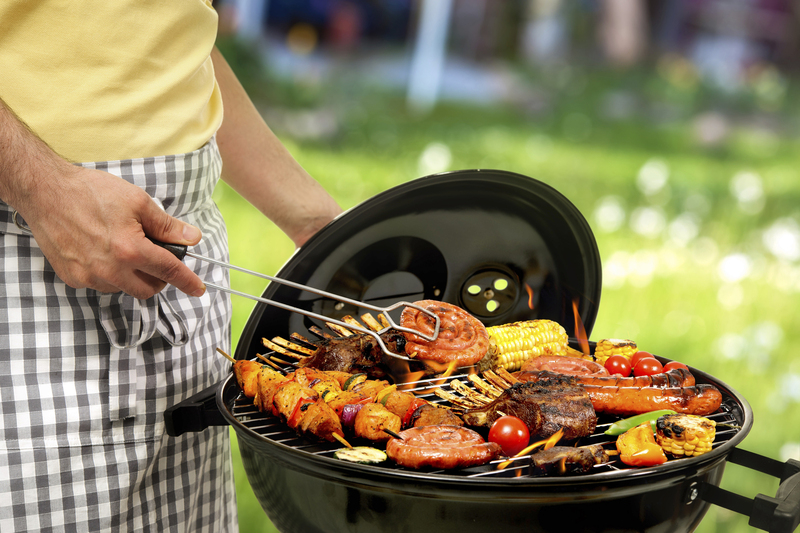 The following are a few simple tips to get you on your way to a fun and safe grilling season. Remember that grills should always be placed away from your home, deck railings, and overhanging branches. Keep your clothing in mind. Wearing loose clothing that has strings or frills can be a fire risk. Flame-retardant mitts should be used when adjusting hot vents. Grills should be placed on a secure surface. Be sure all of the parts of the unit are firmly in place. Make sure to have a fire extinguisher and baking soda on hand in case of a grease fire. Consider placing a grill pad or splatter mat beneath your grill to save your deck or patio from grease that misses the drip pan. Properly inspect the gas hose before lighting. To check for leaks, simply spray the hose with soapy water. If you see bubbles forming, this is a sign of a gas line leak. Be sure to replace leaky hoses before using. Always open the grill lid before lighting. When the lid is closed, there is risk of explosion as gas continues to build up in the enclosed space. If you are considering using a liquid starter, only use charcoal starter fluid. Once the grill has ignited, do not add charcoal fluid or other flammable liquids to the flame. Be sure that your extension cord is equipped for outdoor use if using one for an electric starter. When you have finished grilling, let the coals cool completely before properly disposing of them in a metal container.